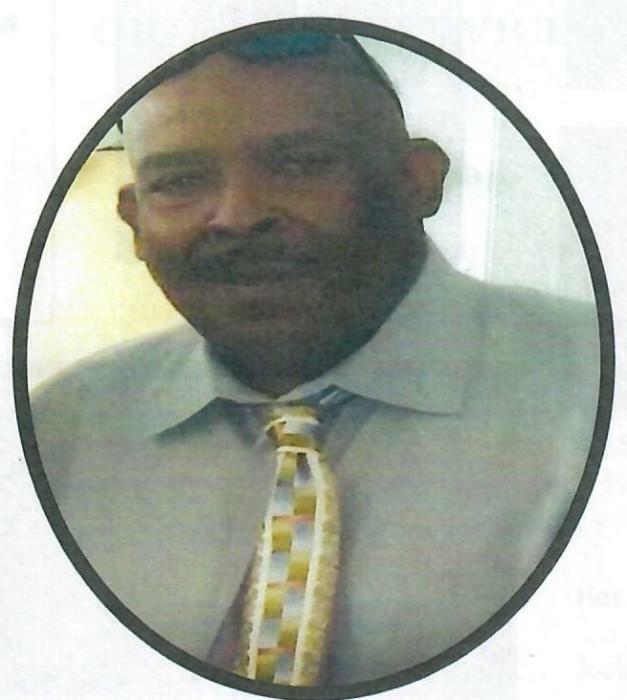 JOSEPH WALTER SCRUGGS JR. was the oldest son of the late Clara Mae Scruggs and Joseph Walter Scruggs Sr. Joseph was born on November 1, 1950 in Baltimore, Maryland. After fighting the battle of a long illness, Joseph departed this life on Monday, September 3, 2018. Joseph was educated in the Baltimore City Public Schools. He completed his studies at Frederick Douglass High School and joined the Peace Corps. Joseph joined Israel Baptist Church where he was baptized and gave his life to Christ. He also supported his brother, the late Elder Liewellyn Scruggs where he then joined Jesus Christ Fellowship Ministries in Baltimore. There were many things in life that Joseph loved in addition to his family. Joseph loved to go fishing with his friends or alone as he bragged about catching the best fish in Turner Station. A native of Baltimore; but he would fool many as he would grab dirt from the ground shake it and give a story about the richness of the soil as he would do his gardening of his favorite vegetables. Joseph also loved to play basketball as well as watch sports. A fan of every NFL Team except the Ravens, he would loudly cheer with excitement as other teams would be victorious over the Ravens and quiet as a mouse when the Ravens were winning. Joseph loved to dress and had hats and shoes to match every outfit. Joseph loved to cook and bake. He found joy in eating all the family deserts and sneaking pies home from his mother's kitchen at the end of the family dinner. Joseph enjoyed a good card game and shared much laughter when he would win in a game of spades. Some would think he was a sports broadcaster while watching sports and the family had to listen to him narrate what would happen play by play. Joseph was employed by several companies as he took pride in what he did. Of all the companies he worked, he really enjoyed driving buses for Gladen Bus Company while working with Special Needs Children. He worked several years with Rockland Industries and retired as a Forklift Operator. Joseph will greatly be missed by all who loved him. Our hearts are shattered today for our family circle has been broken but we rejoice and thank God for the wonderful years we shared with him here on earth. There is a void in our hearts but a smile on our face for the happy times we shared with Joseph. He leaves to carry on Elizabeth McClain, six children, George Scruggs who preceded him in death, Joseph Walter Scruggs III, Tyrone Scruggs- Shante Scruggs (daughter-in-law) Keyawna Scruggs, JoAnn Scruggs- Bryant-Larry Bryant (son-in-law) and stepdaughter Lawanda Fitzgerald; Joseph has eleven grandchildren, Treasure, Sidney, Keontae', Ty'Shira, Ty'Vion, Kha'Dajah, Ty'yon, Kennedy, Kimora, Tionne and Amira; siblings are Liewellyn Scruggs who preceded him in death-Gail Scruggs (sister-in-law), Guy Scruggs, Ann Scruggs, Gabrielle Scruggs Sr.-Debbie Scruggs (sister-in-law), Charlotte Scruggs, Marla Arrington, Edward Scruggs- Evelyn Falcon Scruggs (sister-in-law) and godbrother Kwame Asafo-Agyei; two aunts, Minner Green and Aquilla Chester, one uncle Albert Gilmore, nieces: Jada Scruggs (Short-Cake), Jasmine Scruggs-Lavizzo and Kia Kinsler; two nephews; Gabrielle Scruggs Jr. and Ezekiel Scruggs; two godchildren Celeste and Aaron a host of cousins and friends.